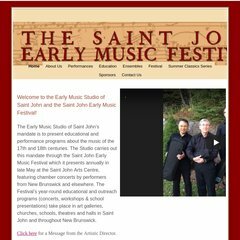 Topics: Performances, Education, Collegium Musicum, Special Events, & Sponsors. It has 3 DNS records, ns2.dreamhost.com, ns3.dreamhost.com, & ns1.dreamhost.com. New Dream Network Llc (California, Brea) is the location of the Apache server. Earlymusicstudio.ca's IP address is 69.163.177.70. PING www. (69.163.177.70) 56(84) bytes of data. A ping to the server is timed at 63.3 ms.